Supplying database design, implementation, and maintenance; information management and dissemination; materials, marketing, and analytic reports. 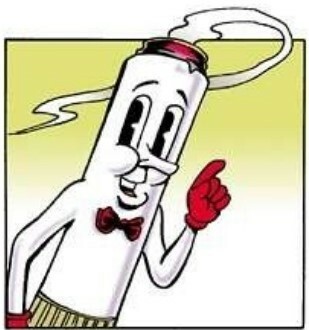 Cygnus distributed the first Mr. Butts television spot, marking the television debut of one of comic strip master, Gary Trudeaus’, most recognized characters. The spot was licensed by CDC from Massachusetts and mailed to key tobacco control coordinators nationwide. Operation of the Media Campaign Resource Center for tobacco control. Cygnus assisted tobacco control coordinators in each state in developing media campaigns using the available materials and coordinating broadcast-quality TV and radio spots, and camera-ready print and out-of-home advertisements. Information management. The Cygnus team designed and built a comprehensive bibliographic database of tobacco and health citations that is available online. The database included the most recent research findings, and prevention and education tools, as well as information of historical importance such as legislation and health policy research. We created the taxonomy of smoking and health to be used in categorizing all smoking and health information within CDC. In addition to monitoring published information on tobacco and health, Cygnus created priority topic reviews on certain smoking issues based on recent research findings and developed factsheets for distribution to the public.